Get Your Woman On! Kimber Lim Shares: Embracing Our Beauty, Grace, Power, and Financial Freedom. Part 1. Complex people, like complex systems, are made up of often contradictory components which when taken individually are hard to reconcile, to understand, and even to believe. But when taken as a whole, over time, the different aspects emerge. And if you are lucky, brave and open-hearted, off you go with this special someone who makes life an unbelievable, often disconcerting, but wonderful adventure. And that is the best way I can describe Kimber Marie Lim, Founder and CEO of two inter-twined journeys—Transformational Business ™and Get Your Woman On! She spent many years helping others not only to showcase their own skills and talents but also to believe in their power to achieve financial success. 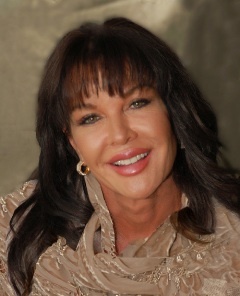 She helps transform their lives and their dreams and in the process the mutual connectedness gives birth to a collective come together to announce the arrival of a new breed of women business leaders. There were too many serendipitous occurrences for me to believe this happened by chance alone. My partner, Philomena’s husband went to an “invention convention.” Out of 1000 entries he placed second with his LeanLever, btw, a great product that has made it to market. As a “winner” Jerry had lunch with Howard Lim, branding expert, and more importantly to this story, husband to Kimber. I never did learn how the conversation wandered to Kimber and her passion or to me and mine, but next thing I knew we were on the phone talking about my new venture and how I would fit right in with hers—a collaborative of women telling their stories of transformation chasing after the elusive—financial success. Excited while talking, off line I was left with some nagging doubts about the viability or advisability of my joining this collaborative, women whom I had never met, with whom I had never spoken or met. And so I backed into my comfort zone and declined. Our conversation nagged me. I was up for a new adventure. I kept thinking about this woman who used spoke about “making mischief” and having a “yummie time.” My enchantment overcame my doubts. Inspirations from 40 impassioned visionaries—inspired and inveigled by Kimber Lim. And I knew I was hooked, like a fish not knowing what had happened and unable to wiggle fast enough to release, to escape. Herding us through round up calls, cajoling us to do showcase webinars, convincing us we could produce audio and video clips, master on-line processes, and write each our own compelling story, Kimber Lim slowly molded us into her dream which grew from the collection of our dreams. A collective of cooperative, collaborative business women who are going to create an Amazon #1 best seller sometime in June, 2011. This entry was posted in Accidental Crusader, Telling Stories, Women at Work. Bookmark the permalink. Post a comment or leave a trackback: Trackback URL. Mischief is good. Our ‘Piscy Rev. invoked “God of Mischief” as she began her “no holds barred” feminist Easter sermon — about Mary Magdalene, what she saw and knew, that there was nothing at all negative about her in the Biblical texts, but that several centuries later the ‘the boys’ characterized her as an adulterer and prostitute. Which of course oppressed women for more centuries. A moniker of mine is ‘Turbatrix Rerum” — “trouble maker”! Yes”yummy” is also a new word in my vocabulary… But on an adventure on “what I want” and the “how” will come. Knowing there is a collaboration of energy surrounding me.. Helps to elevate me to making the dreams and visions a reality..
Wow how inspiring! This is just the beginning. I’m very excited of what all Kimber has in store for Women in business. I was wondering how did Kimber pick the 40 women for the book? Omigosh, Linda- you so capture the Kimber experience! And yet again, thank you for your honesty…for your ability to convey your humanity though your writing…Can’t wait for the next installment. Linda, I love how you described the initial doubt you felt, and then the nagging inspiration that overcame - so true! We are all definitely on a “yummy” journey to fufill our dreams, which ultimately is Kimber’s dream - for us all to have financial success through collaboration. 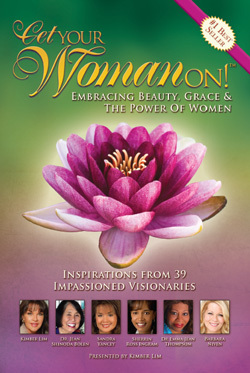 So glad I am a part of ‘Get Your Woman On’ and I can’t wait to release our best selling book this summer!!! What a great bunch of comments. Let’s all get our women on! http://www.GetYourWomanOn.com is crazy fun!!!! I kid you not, if you have felt the quiet unrest everyday, now more than ever the possibility to connect with one another is necessary. GYWO is the place to bask in the glow of heart to heart connectivity to make a difference. There are no accidents, I am forever grateful the dream has brought us all together. Linda, thank you for sharing your inspiration! Kimber sure has a big heart and a will to allow all women to live freedom and success, being on her team makes me feel so grateful and honored! Looking forward to our future with GYWO…and all of the Powerful Women involved!